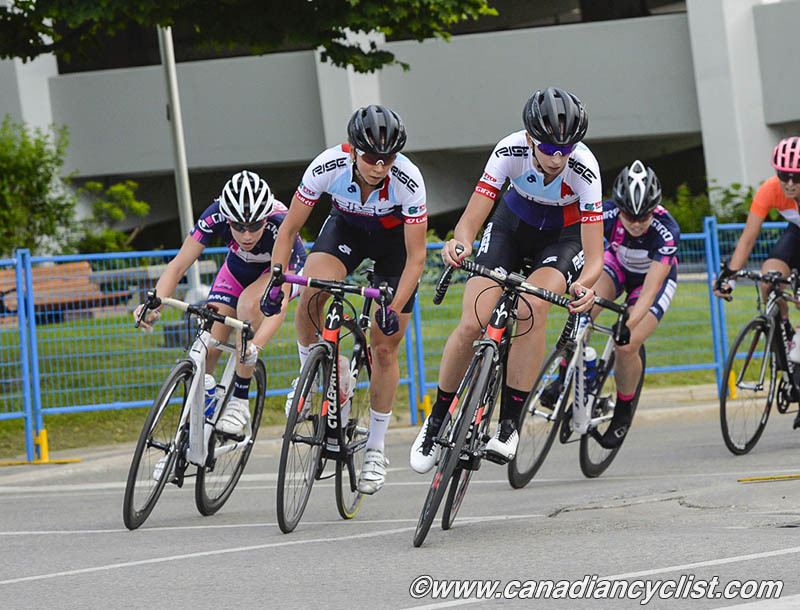 Returning for its second season, Rise Racing plans to continue and encourage the growth of women's cycling - primarily in Ontario and across Canada - with a strong North American presence. 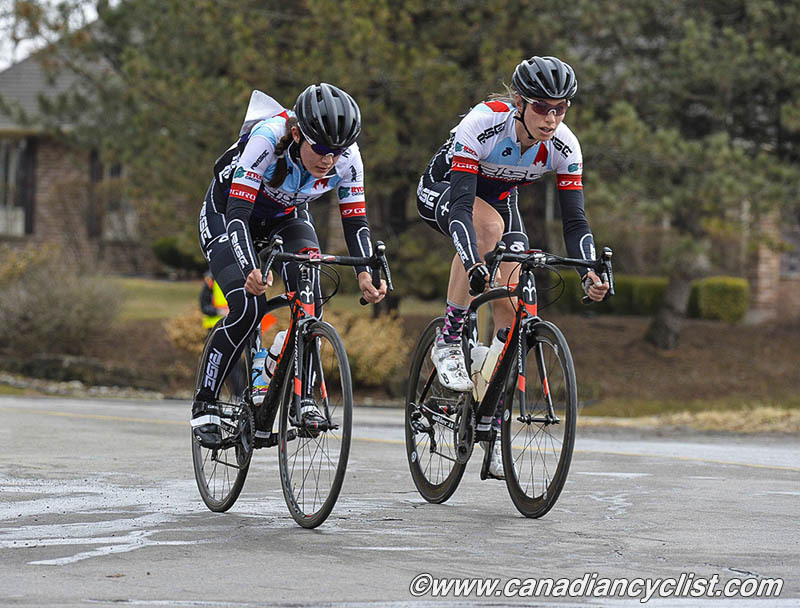 During the 2016 season, Rise Racing will compete at the national and international levels, with a focus on major Canadian races, including the National Racing Calendar (NRC) and Union Cycliste International (UCI) races. Rise Racing is thrilled to announce their 2016 roster and sponsors for the upcoming season. Pairing with revolutionary Infinit Nutrition Canada, developing custom training and racing nutrition blends, along with Beet-It Sport Canada providing daily nutrition and bars, the team will be performing at their optimal levels. Returning sponsor, Smith Optics, will be outfitting the team with their signature Overtake helmet and Pivlock Arena glasses in the very striking opal colour. 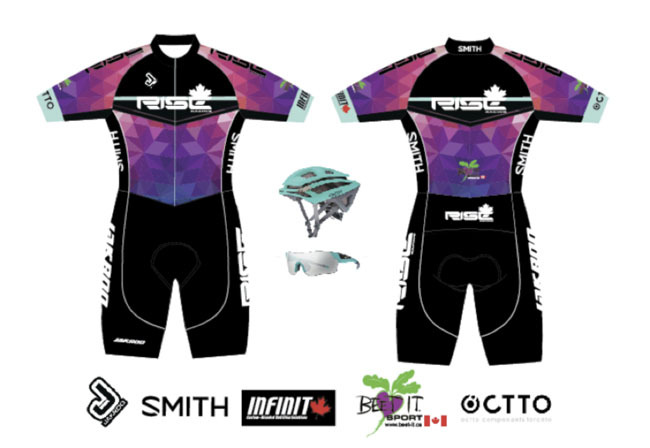 Toronto based company OCTTO Components will be providing top of the line equipment on the technology end of sponsorship, while Jakroo Apparel Canada has provided stunning new kits. We are very proud of 2015 Rise Racing p/b Cyclepath Woodbridge team member, Jamie Gilgen, as she moves up to the professional rankings with US based team, Visit Dallas DNA Pro Cycling, for the 2016 season. Rise Racing intends to see several success stories like this one in years to come. All the best Jamie! Ashley Barson (25, Bolton, ON) - Co-Founder and director of Rise Racing, returns to the team after a successful 2015 season competing across North America on the road. Ashley debuted the Rise Racing colours to the world stage at Cross Vegas, North Americas first ever Cyclocross World Cup, this past September in Las Vegas. She will continue to develop on the road, honing her natural climbing abilities, while maintaining a strong focus on the cyclocross season in the fall/winter. 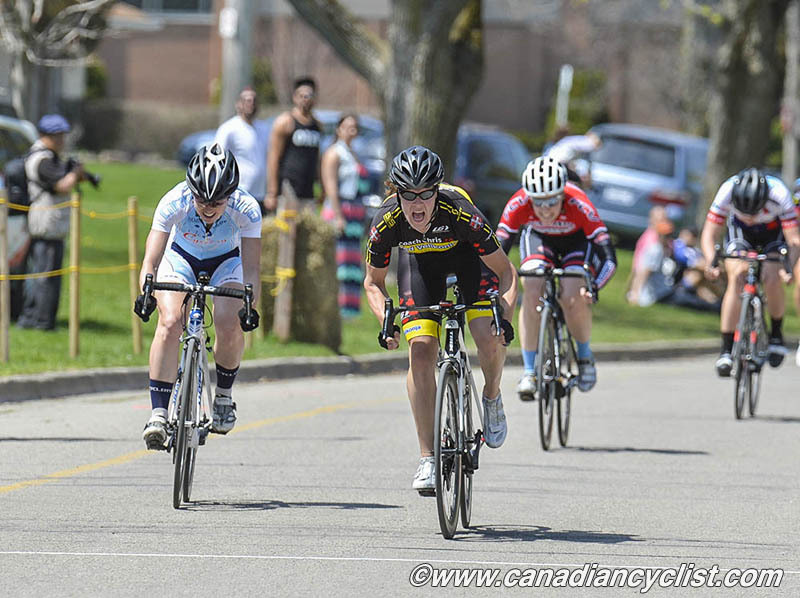 Sarah Mason (22, London, ON) - The 2014 Junior Omnium Track National Champion and 2015 Ontario Cup Elite Women Road Series winner looks to the 2016 season focusing on top results in Ontario and Canada on both the road and track. Joyce Sprewit (30, London, ON) - Coming off of a bronze medal at the 2015 Provincial Road Race and Criterium Championships, as well as a gold at the 2015 Spring Bank Ontario Cup Road Race, Joyce looks to 2016 to develop further and improve team tactics alongside a strong team of women. Thea Mizuhara (25, Toronto, ON) - with multiple Ontario podiums in 2014, Thea signs with Rise Racing to learn and work for 2016 goals of increasing the dynamic of women's Ontario road races with more team tactics and actively pushing for greater distances and speeds.